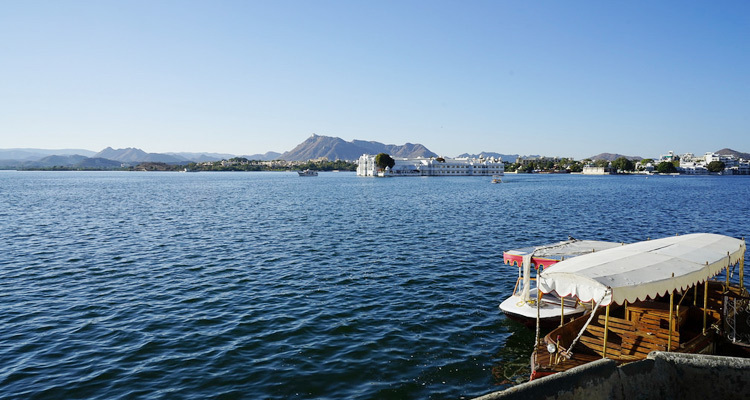 True to its title, the City of Lakes - Udaipur is surrounded by a number of lakes mesmerising its visitors with its blue waters and scenic views. One such artificial lake that sits right in the middle of Udaipur city is Lake Pichola, built in the year of 1362 AD. Named after the nearby village Picholi, Lake Pichola is one of the most famous tourist attractions in Udaipur. Flanked by islands, palaces, temples, mansions, ghats and restaurants, Lake Pichola offers something for everyone. The enchanting views of sunrise and sunset from the lake is something that should not be missed by anyone visiting the lake. 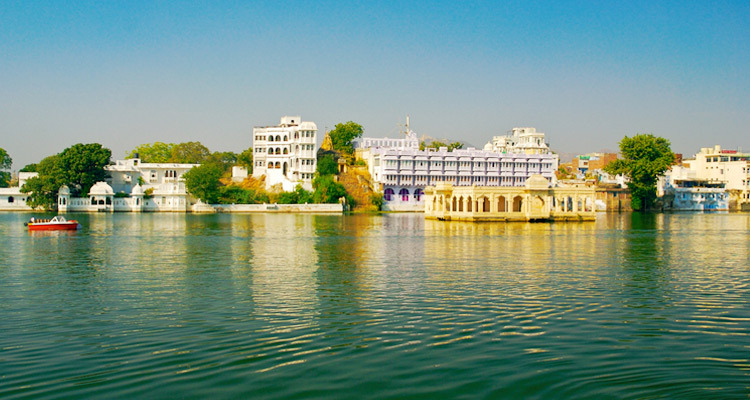 With dimensions of 3 miles in length, 2 miles in width and a depth of 30 feet, Lake Pichola has four main islands namely Jag Niwas, Jag Mandir, Mohan Mandir and Arsi Vilas. Jag Niwas is home to Lake Palace which is now converted into a heritage hotel while Jag Mandir is home to the famous Lake Garden Palace. Mohan Mandir served as the place from where the king used to witness the Gangaur festival celebration held anually. Once an ammunition depot, Arsi Vilas has a small beautiful palace which was built by one of the Maharanas of Udaipur to relax while enjoying the sunset on the lake. A sanctuary consisting of a number of birds such as tufted ducks, cormorants, coots, egrets, terns, kingfishers etc. is also built here. Mesmerising the visitors with its charm and enchanting beauty, Lake Pichola is an artificial lake built in the year of 1362 AD and one of the popular sightseeing places to visit in Udaipur. It was built by a Banjara tribesman, Pichhu Banjara who used to transport grain during the reign of Maharana Lakha. The captivating lake attracted Maharana Udai Singh so much that he established the city of Udaipur on the banks of this very lake. Maharana Udai Singh is credited with enlarging the lake further by building a dam on the shore of the lake. Later, several islands, palaces, temples, mansions, and bathing ghats were developed in the surroundings of the lake over a period of time, making it even more attractive. 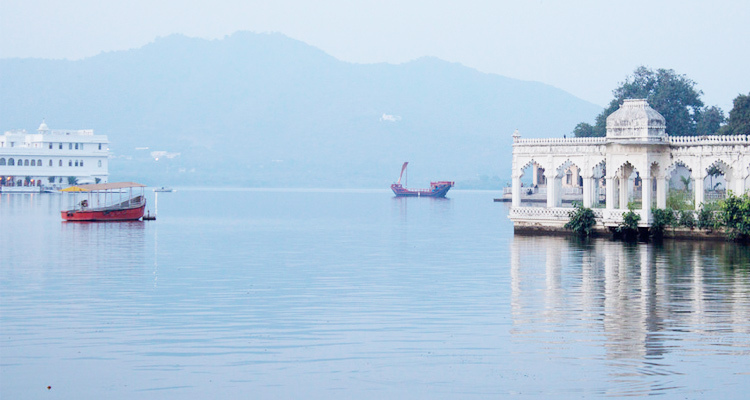 One of the most famous attractions in the lake surroundings is Lake Palace that sits right in the middle of the lake, constructed on the Jag island. Mohan Mandir, built by Jagat Singh between the period 1628-1652 and Jag Mandir are other islands that are worth a visit. City Palace is another famous tourist attraction in the lake surroundings from where boats ply to other parts of the lake from Bansi Ghat. Arsi Vilas which is a bird sanctuary and Sitamata Game Sanctuary on the western part of the lake are other attractions around the lake. 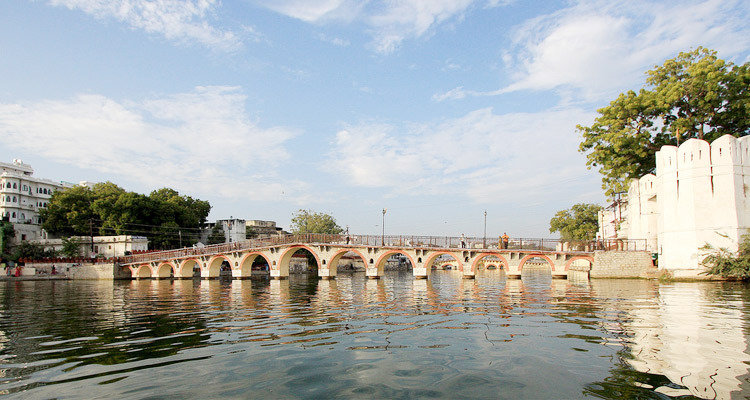 Ornamental arch bridges at various locations further beautify the lake. These bridges are built at places where the lake narrows so that the water can reach the banks. 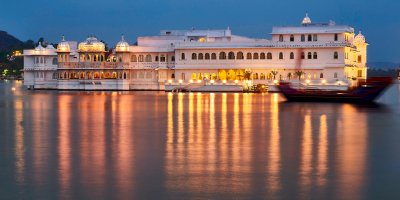 Built in 1740s by Maharana Jagat Singh, Lake Palace is one of the most famous attractions of Lake Pichola. Also known as Pichola Palace or Jag Nivas, this palace sits magnificently on the Jag island. Now a heritage hotel of Taj Group, Lake Palace has over 80 rooms and served as a summer retreat for the Maharanas of Udaipur city. Spanning over 4 acres, the palace covers the entire of the Jag island looking as if it is floating on the waters. The interiors of the Lake palace are as impressive as the exteriors. With stained glass motifs, fountains and parks, the palace is sure to mesmerise everyone with its architectural beauty. Another impressive structure that tourists flock in huge numbers is Jag Mandir that occupies the island with the same name. Jag Mandir also served as a summer retreat and a palace for entertaining the guests of Udaipur city. The construction of Jag Mandir was started in 1500s by Maharana Amar Singh and was succeeded by his son Maharana Karan Singh. It was finally completed by Maharana Jagat Singh and hence named after him as Jagat Mandir. In the year 1623, the Mughal emperor Prince Khurram better known as Shah Jahan took refuge of Mewar King Maharana Karan Singh II when he rebelled against Jahangir. Maharana Karan Singh housed him in Gul Mahal of the partially completed Jag Mandir. The palace inspired Shah Jahan to construct the marvellous wonder Taj Mahal. As one sets foot on the island, elephants carved beautifully in marble white greet them at the entrance. Gul Mahal on this island is a must visit, especially the zenana or women quarters of the mahal. 12 stone palace or Barah patharon ka mahal is another impressive structure worth visiting deriving its name from the 12 stones used to make it. There is also a museum depicting the history of the island. Comparatively a smaller island, Mohan Mandir was built by Maharana Jagat Singh between 1628 and 1652. Located on the north east corner of Lake Pichola, Mohan Mandir served as the place from where the King used to witness the festival of Gangaur. The fourth island of Lake Pichola, Arsi Vilas once served as an armoury. Built by one of the Maharanas of Udaipur to enjoy the sunset on the lake, it is now a sanctuary housing a variety of birds. Located on the eastern banks of the Lake Pichola, City palace is a historic structure that was built by 22 generations of Sisodia Rajputs over a long period of time starting from the year of 1559. The subsequent generations including Udai Singh II added impressive structures to the palace complex. The proximity to the lake, adds further grandeur to the City Palace. During night time the view of the lake from the palace is quite enchanting, as the reflection of lights falling on the lake make it even more enthralling. A number of mansions were built along the banks of Lake Pichola, with some of them being converted into hotels. One such Haveli that is quite famous is the Bagore ki Haveli which houses a museum. It also holds cultural shows during evenings. Connecting Lake Pichola to a smaller lake called Swaroop Sagar, Swaroop Sagar bridge is a beautiful ornamental bridge built by the namesake king of Udaipur. It is located quite close to Bagore ki Haveli, another top attraction of Lake Pichola. Also known as Gangori Ghat, Gangaur Ghat is the main ghat situated near the waterfront of Lake Pichola. Located near the Jagdish Chowk area, the ghat is quite popular with tourists and locals thronging it in huge numbers especially during festivals such as Gangaur Festival and Jal Jhulni Festival. Raised platforms can also be seen along the banks of Lake Pichola used for various purposes mostly within a courtyard. One such platform is Natini Chabutara that has an interesting legend associated with it. Natini, a tightrope walker who used to live during the reign of Maharana Jawan Singh (1828–38) was asked by the drunkard king to cross the lake on a tightrope from a village on the west bank of the lake to the City Palace on the east bank. He promised to gift her half of the Mewar kingdom if she would successfully cross the lake. It is believed that the king cut off the rope before she could reach the end of the rope and Natini fell into the lake. Cheated by the king, she cursed him that his family would not have any direct descendents or heirs from then on. This curse is believed to have come true as six Ranas out of the seven succeeding Jawan Singh were adopted. A trip to Lake Pichola is incomplete without a boat ride in the serene lake, especially during sunset. Lake Pichola boating tickets are available at City Palace and are priced at Rs. 400 to 600 for Adults and Rs.200 for children. For sunset cruise, the tickets are priced at Rs.700 for Adults and Rs.400 for children. With a seating capacity of six to eight, the boats are covered with a canopy. 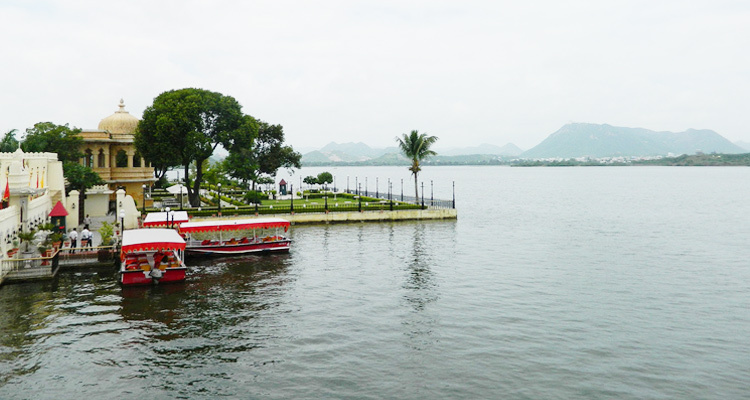 The boat ride starting from Rameshwar Ghat, first takes the visitors to Lake Palace. The boat then takes them to Jagmandir where the visitors can spend some time appreciating the scenic views. The sunset view from the boat is truly magical, as is the changing colors of water from blue in the morning to golden in the noon and orange during sunset. During night, the reflection of palace lights on the water is another sight that is sure to leave one spellbound. To get in depth knowledge of historical places like City Palace, Bagore Ki Haveli, and Gangaur Ghat, a walking tour around Lake Pichola is the best way. Costing anywhere between Rs. 1300 to Rs. 4000 for a guided tour to important places near the lake and the old city, this walking tour is a must do activity for history lovers. There is no entry fee to visit Lake Pichola. However, for a boat ride in Lake Pichola during daytime and afternoons, the tickets are priced at Rs. 400 for Adults and Rs. 200 for Children. For Sunset boat ride, the ticket fee is Rs.700 for Adults and Rs.400 for children. Timings of Lake Pichola are from 9:00 am to 6:00 pm on all days of the week. For Boating in Lake Pichola, the opening time is 10:00 am and closing time is 5:00 pm. 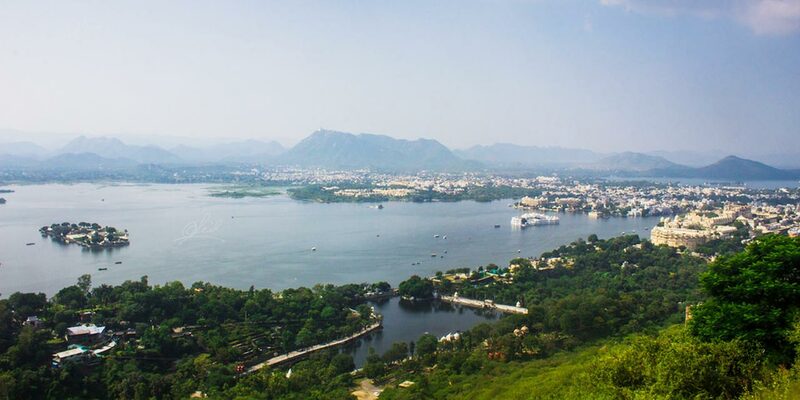 Udaipur is quite hot during summers as the temperature reaches upto 40 degree celsius. It is advisable to avoid visiting Lake Pichola from March to June to evade the scorching heat of the city. Monsoons from July to September and winter months from October to February are considered as the best time to visit the lake as the weather is quite pleasant with temperature ranging between 25 to 35 degree celsius. The best time to visit the lake is during evening hours as the view of sunset from the lake is truly breathtaking. 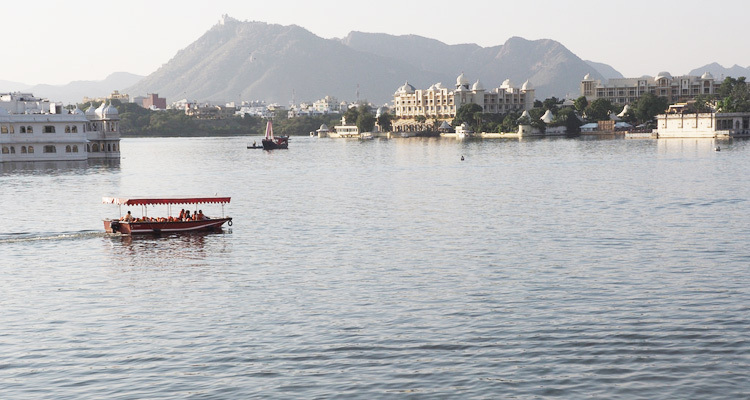 Located in the Udaipur city of Rajasthan, Lake Pichola can be reached by tonga, auto rickshaws or taxis. Local buses also ply from various parts of the city to the lake. Udaipur is well connected by air, rail and road. The nearest airport in Udaipur is Maharana Pratap Airport located 20 kilometres away from the city center. Flights from major cities such as Delhi, Mumbai, Kolkata and Jaipur operate to and from this airport. Udaipur has its own railway station - Udaipur Railway Station and is well connected to major cities like Ahmedabad, Ajmer, Khajuraho and Sealdah through Adi Udz Express, Bdts Aii Udz Express, Mewar Express and Annanya Express. A number of state run buses by Rajasthan State Road Transport Corporation (RSRTC) and private tour operated buses connect Udaipur to a number of cities by road. True to the words written by Rudyard Kipling in his Letters of Marque (1899), "If the Venetian owned the Pichola Lake, he might say with justice, `see it and die'"; Lake Pichola is sure to enthrall anyone with its beauty. This mesmerising lake would make one fall in love with it wanting to visit it again and again.